Staying up-to-date on twice-yearly dental cleanings can provide much more than a beautiful smile. Our routine check-ups are designed to help prevent dental issues from developing down the line, address any bacteria buildup or decay, detect bite alignment concerns and other problems, and teach healthy oral hygiene habits. 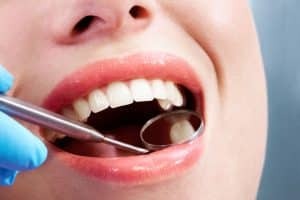 At Dr. Arun Narang & Associates, we offer a comprehensive selection of family dentistry and cosmetic dentistry options that prioritize the most stress-free, gentle, and positive patient experience as possible – and the routine check-up is one of the most essential elements of maintaining excellent oral and general health. For more information about routine cleanings and preventive dental care, or if you would like to schedule an appointment with one of our dentists, please contact us today. Our dental cleanings go above and beyond the standard experience, helping to ensure you receive the best possible care and to optimize your oral health. When you arrive, we will begin with an oral examination, which will allow us to detect any developing problems before they become larger issues. We utilize the latest dental technology to enhance your convenience, comfort, and results. After the exam, one of our experienced and friendly dental hygienists will provide a customized dental cleaning that offers more in-depth treatment than at-home brushing and flossing alone can provide. These cleanings are designed to help prevent plaque buildup, tooth decay, gum disease, and other serious risks that could potentially develop without regular care, and they can also provide additional protection for your teeth and gums until your next appointment. If, during your cleaning, our dentist notices an area of concern, a follow-up treatment may be recommended to address the issue. He or she will develop a customized treatment plan that can offer the best possible results. Optional treatments such as dental sealants may be advised depending on your unique anatomical indicators. Dental X-rays can be one of the most essential tools in diagnosing potential concerns, including everything from misalignment to decay. At our office, we utilize state-of-the-art digital X-rays, which can provide greater speed, comfort, safety, and efficacy than traditional methods that use film and require exposure to significantly higher levels of radiation. 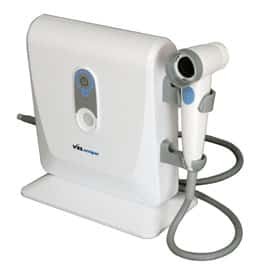 Furthermore, digital X-rays are a greener option, as the images will be sent to the computer monitor and do not require development in harmful chemicals that can damage the environment. Excellent oral health habits begin at an early age, and we are committed to helping our patients develop the right dental behaviors from the very beginning. We recommend children have their first oral exam and dental cleaning at the age of 3, and we make every effort to make the process as comfortable, gentle, and anxiety-free as possible. Should an issue arise requiring slightly more invasive treatment, Dr. Arun Narang offers touch and needle-free anesthesia using The Wand®. This innovative device can significantly enhance you or your child’s dental experience. In addition to identifying any issues, establishing healthy practices, and learning to appreciate the importance of dental health, we also offer a range of treatments designed to protect the teeth and gums of children and help prevent the need for future restorative procedures. Like all cancer, oral cancer presents a serious risk for individuals of all backgrounds and ages. Undergoing regular oral cancer screenings can help you catch the earliest signs of this disease and begin treatment faster. While many symptoms are visible to the naked eye, including white lesions or other irregularities, there are also many signs that will not be noticeable to you. We utilize the latest technology, called the VELscope® System, to help detect the presence of cancerous and precancerous cells and provide you with the best treatment options available. This innovative device uses a special light to identify areas of concern. Healthy tissue, when exposed to the VELscope® light, will reflect the light back. Unhealthy tissue, however, will absorb the light and appear dark. As a result, our dental professionals can quickly and easily detect and begin to address potential problems and abnormalities. Our screening process is brief, typically taking about two minutes, and the entire experience should be pain-free. Patients who do not use alcohol or tobacco products should have a screening at least once each year, and those who do use alcohol or tobacco products should have at least two screenings each year. If you have additional questions about routine dental care and check-ups, or if you wish to schedule a consultation with one of our dentists, please contact our office today.